Always good to see that our work desserves magazines' cover pages. The "Power Cat on test" is also illustrated with my images. Super Clarity...your shots are always inspiring to me. Congrats, Nicolas! Good for you! Lovely shot! Thank you Antonio, Chris and Rachel! This is so beautiful, I want one! Congrats, Nicolas....and to Romain as I'm sure he was filming your too! It is a Lagoon 52… Spacious, comfortable and easy to sail! and the video by Romain as well : http://www.claris-video.com/video_yachting_uk.php scroll down to "Lagoon 52"
.....and I thought these were about $40,000! how out of touch I am! These are magnificent ladies of the sea. I will have to sell a lot of "stuff" and blood! That's the price (I'm sure you can negociate!) for a second hand Lagoon 52, new is a bit more money! Thank you Antonio, je le dis à Romain ! 171 feet would require a brave crew to handle the sails, but could carry a Sultan's elephant too! Congratulations, Nicolas on getting the cover. Wonderful work, as usual! Excellent Nicolas. And very well deserved. Regards to Romain and yourself. Cover page of Yachting Magazine #1300, April issue. 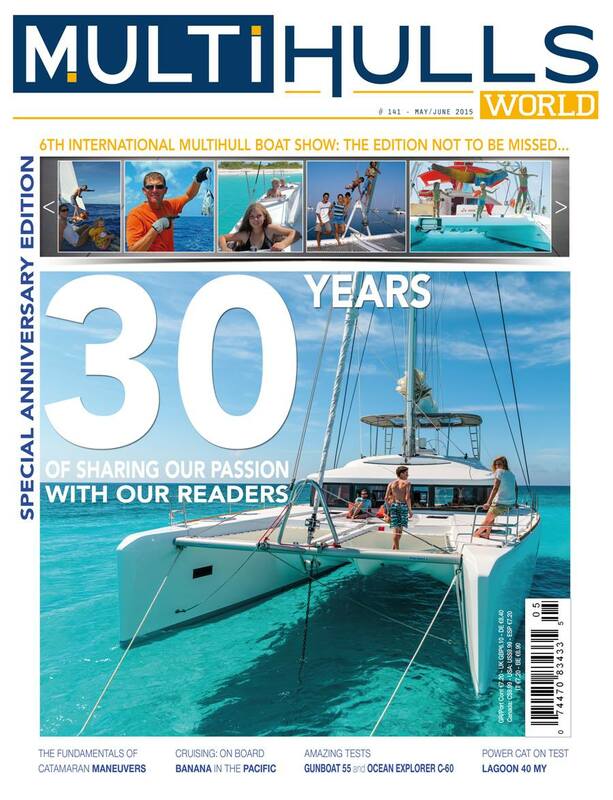 The Lagoon 630 MY featured on the cover of Yachting Magazine #1300, April issue. Great picture Nicolas ! As usual ! Poor girl. In a such expensive boat and without money for a bathing suit ! As for the girl, they say it's a fashion bathing suit! The girl will then join us on her own! Very nice work Nicolas. And it is deserving to be acknowledged in this way. I shot images for a sailboat manufacturer many many years ago --- using a handheld Hasselblad while I was hanging out the front of the motorized sailboat the company was using to chase the ship in full sail in the open waters. Interior shots of the docked sailboat were handled with my Hasselblad SWD superwide lens. If I were doing this kind of work today (and being paid well enough for it), I would definitely be using a Digital Medium Format camera such as you are. 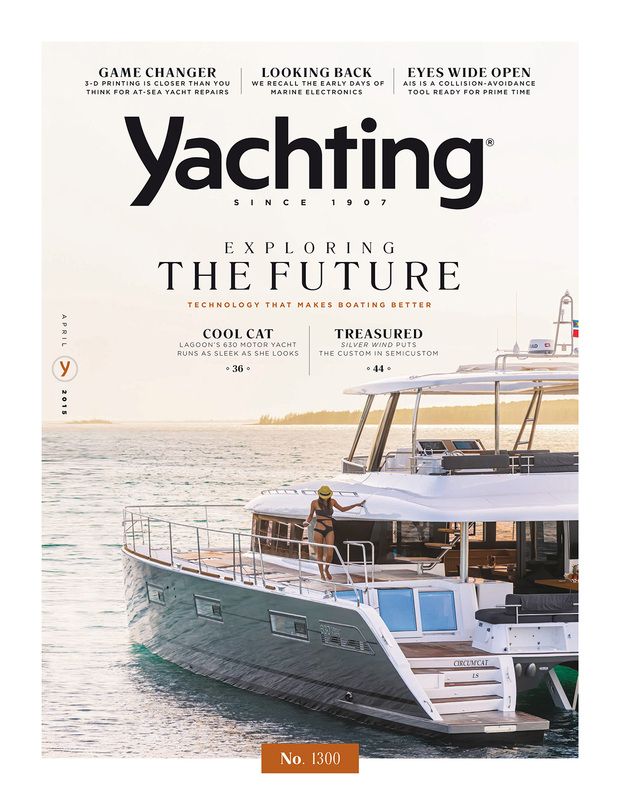 In fact Yachting Magazine is somewhat like "Vogue" for yachtmen. I think I should clarify that when I said "Poor girl. In a such expensive boat and without money for a bathing suit !" in a previous post I was joking. Perhaps it is a bad taste joke... I am sorry. I did´t mean to depreciate the image, neither the success of the photographer nor the cover itself. Not even the magazine. I took your post for humor! You’ve done an amazing job shooting the Lagoon 630 Motor Yacht. These images are some of the best I’ve worked with while at Yachting. The image may be the classiest cover we’ve run. No need to be sorry, au contraire! Wonderful message for a job done wonderfully. We are all proud of you!